There is a maximum of 1 line of text. There is a maximum of 1 line of text with 20 characters. 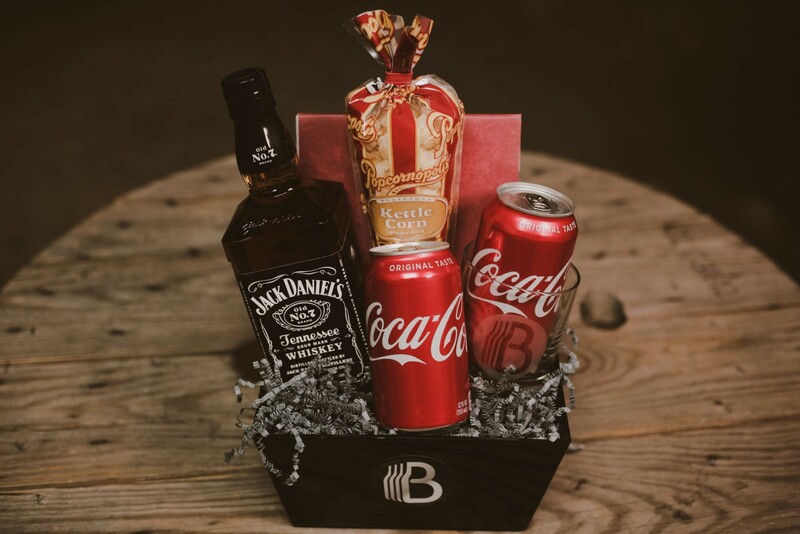 This whiskey gift basket is for the guy who knows what he likes and he’s sticking to it! Hey if they dont like Jack n’ Coke, dont worry, we have most major booze and mixer options they might want. For those men that love a good Whiskey & Coke, this is the perfect gift to make their day. My boyfriend loved the basket and the Jack. I personally loved the caramel popcorn. I didn’t like the way the items were glued in the basket. The glue took off part of the label to the Jack. Which messed up my cheesy photo moment. Other than that it was a super cute gift. With a bottle that he can cherish forever. This Product comes with an engraved bottle of Jack Daniels. The engraving is placed on the front of the bottle. There can be a maximum of 1 line of text.